So what to eat now? How about something that is relatively safe? 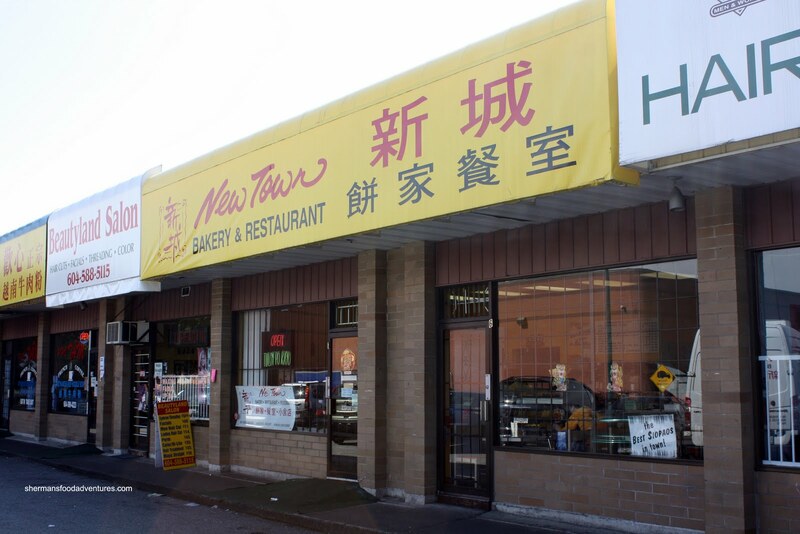 Located right next to Pho Tam is the Surrey location of New Town Bakery. 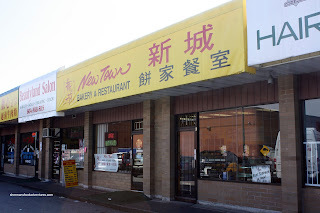 Mostly known for their excellent apple tarts and dai bao (big bun), they also serve up Chinese food and the occasional Filipino dish. On the topic of uninviting, the interior of New Town is not a work of art. Of course, I wasn't expecting as such; yet, after all the aforementioned things about crummy looking places... I leave one and end up at another. I suppose I'm drawn to these places subconsciously. Not knowing the system, I just grabbed a menu and seated myself. There wasn't a staff member available for a little while. When a server did notice me, I have to admit she was pretty friendly. 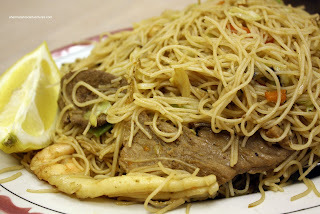 I ended up ordering the Salted Fish & Chicken Fried Rice and the Filipino Style Vermicelli. Although the rice had a nice salty kick to it, it was far too mushy. 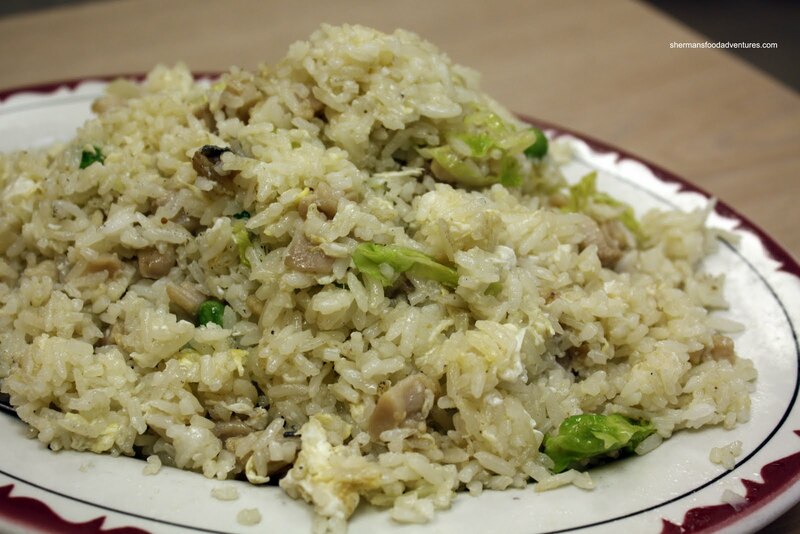 Obviously fresh rice was used rather than dry day-old rice. Chock full of squid, pork, fish balls and shrimp, the vermicelli was quite good. This was more of a Chinese version of this dish; but I liked the subtle flavour. 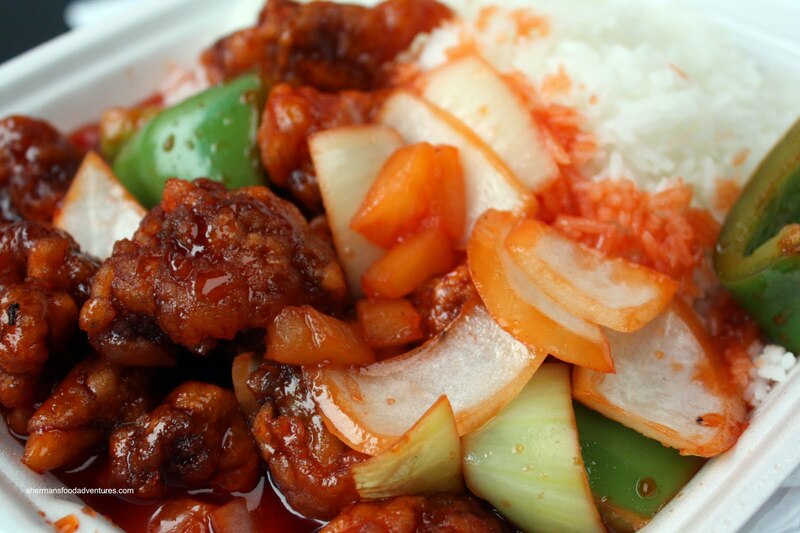 I got an order of Sweet & Sour Pork on rice to go for Ma. I didn't get to try it; but she remarked that the pork was moist and the sauce was indeed flavourful. To me, it looked quite good! So in addition to their wonderful bakery products, New Town succeeds in offering decent eats at reasonable prices. best steamed buns and apple tarts in town!! Boy, you give me too much credit! But I do believe it is decent for the money. Yes, give it a shot and really try their baked goods such as the ones Holly mentioned.